I was asked by Amazon Prime to put together a Gift Guide for all you lovely readers. I thought it was a great idea so that's what today's blog post is going to be. I've picked things that I would personally buy for my own mother and I've put a lot of different prices for a mix of different items. Before you all read this blog post I want to ask everyone to give a thought and a prayer to all of the people in this world who don't have a mother to celebrate on Mother's Day; maybe they lost their mother's due to a health problem, a death or maybe they have just never known who they are at all. Please take a moment and give these people a thought. Firstly, you can save a massive 44% (£11.00) on this item and pay only £14.00 for this gift set, instead of £25.00. 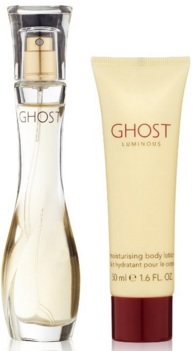 The Ghost Luminous Gift Set is a 30ml of the Ghost Deep Night Eau De Toilette spray for women and 50ml of the Ghost Deep Night Body Lotion. This awesome purfume ensures you stay fresh and smelling great all day long. It's luminous is the light, fresh fragrance featuring a high, fruity scent with a sharp kick. The perfect gift idea for the lady in your life, so if you are a guy ordering this for your mum why not pick another one put for your partner aswell? This really does contain everything you need to truly enjoy the fragrance. This is one of my mother's favourite perfumes and I know a lot of older women do love this perfume too. Great gift idea! The winter weather has been here (for way too long in my opinion!) and just like mine most people's lips have suffered so I thought this was a great gift to get your lips back smooth for the summer time. This gift set is great money for only £3.25 instead of paying £6.50! 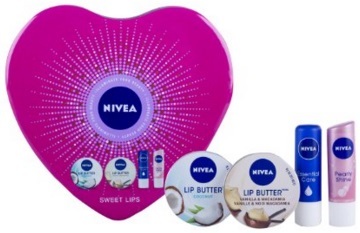 Nivea Sweet Lips gift set contains Nivea essential care lip balm, Nivea lip butter coconut balm, Nivea pearly shine lip and Nivea lip butter vanilla and macadamia lip and this all comes in a Nivea lipcare sweetheart lip tin with is reusable - bargain gift! This awesome Baylis & Harding set includes a 100ml Body Wash, a 100ml Body Lotion and a 100g Boxed Soap in midnight fig and pomegranate sent. And this is priced at only £8.00! I've personally used this in the past and it really does smell amazing and make your skin feel great. Who doesn't love a good Cath Kidston set? 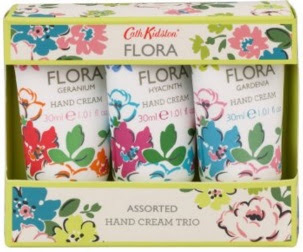 This one is the Flora Hand Cream Trio Set from Cath Kidston which are three 30ml beautiful floral fragrances; Geranium, Hyacinth & Gardinium Hand Creams which are enriched with Shea Butter, Beeswax and Vitamin E. The perfect travel size for the mum on the go! Priced at just £6.00 for the whole gift set. 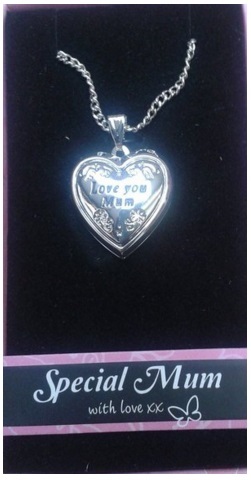 This "Love You Mum" heart-shaped gift boxed locket pendant is perfect not just for Mother's Day but for your mum's birthday, Christmas or just any occasion at all. It's a beautiful, personalised necklace which is both an elegant and affordable gift for your Mum. The heart shaped locket is hinged on the left and opens to allow a tiny keepsake of photo to be stored inside which you could put in the locket yourself as a little extra surprised gift. This measures approximately 2cm by 1.5cm at the widest points, the necklace has an 18" length chain and is made from nickel free zinc with a high quality no tarnish finish. Both pendant and necklace come supplied in a pink decorative gift box inlaid on black felt giving the gift a feeling of substantial quality and only for only £6.94. I personally have one of these with my name on it and I adore it! 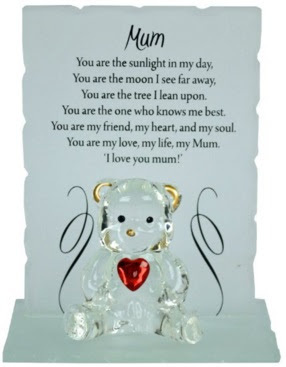 These new engraved glass crystal bear gift set as a poem written message also on the ornament which reads "You are the sunlight in my day, you are the moon I see far away, you are the tree I lean upon. You are the one who knows me best. You are my friend, my heart and my soul. You are my love, my life, my Mum. 'I love you mum!'" This is stunningly beautiful and measures 95mm x 100mm (the bear measures 80mm x 95mm) and is the perfect gift for a loved one. All our hand made poetic bears comes in a exquisite presentation box and only for £7.95. This is such a cute little present for all mother's out there. 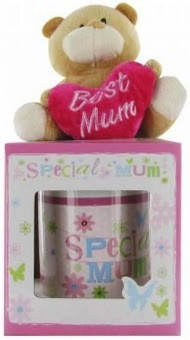 "Britain's Best Mum Mothers Day Gift Mug Set" costs only £8.99 and is ideal Gift for Mother's day. This present Includes a cute beanie bear and a cup to make your mum her favourite warm (or cold) drink in on Mother's Day! I wanted to include some flowers in this gift guide because as I mentioned above a lot of people don't have mother's who are still with them here on earth and who had sadly passed away but who still want to get there mother a present for Mother's Day, and flowers are the best present for that I think. 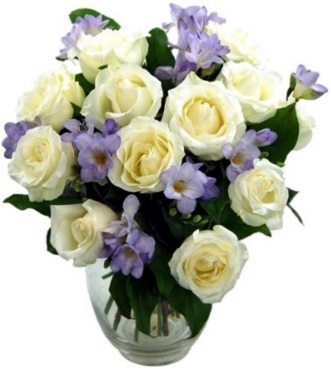 Clare Florist has these breathtaking "Amethyst Bouquet" with include fresh white rose and fresh purple freesia flowers priced at only £19.99 with free UK delivery. These include a luxury gift card with your own personal message and keeping fresh instructions. Beautiful gift in my opinion! I really hope that you all enjoyed this blog post and it gave you some ideas on what to buy your mother for Mother's Day this year.